I am absolutely obsessed with everything shabby chic, frilly and pretty when it comes to home decor. Not to mention, I take a lot of photographs and I do not often get to display them. 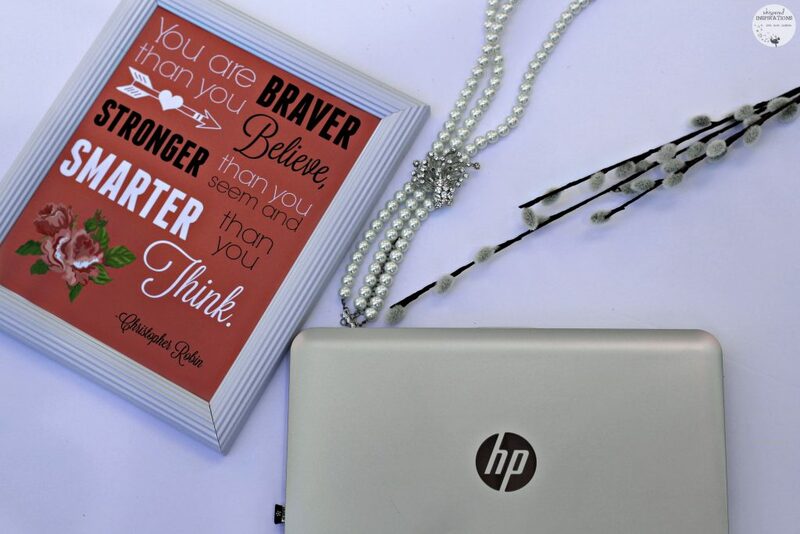 When I get some free time, I love to create decor using just my HP Pavillion x360 and HP printer at home. I was inspired to create something super simple but, a piece of decor that adds a pop of color and inspiration to any of your spaces. The best part is that it is relatively inexpensive and simple to make. If you aren’t inclined to design, you can always use free printables, like the ones that I have in this post! I love having picture frames with inspirational quotes and using them to adorn several spaces in our home; specifically our bedrooms and desks. They not only provide a pop of color to any room but, they also give your spirits a lift and sometimes a reminder when you need it most. Designing it is very simple, I used colors that complemented my existing wall colors and decor but, still neutral enough to be used with any decor. Then I picked out quotes and lyrics that I loved. If you aren’t too savvy to designing pictures, don’t worry–I got you covered. I designed everything using my HP Pavillion x360 and wirelessly sent them to my printer! How easy is that? I also know that I am always covered when it comes to having enough ink because I have an HP Instant Ink Membership. Whenever I am low, they send ink right to my door. Plans start at $3.99 and you can change it whenever you want or cancel it anytime if you need to. I chose the lyrics, “Grow old along with me, the best is yet to be.” These lyrics are an ode to all the lovers out there, the ones who are just beginning their love story and those that have been nurturing it for years. I think it is a great addition to make a house a home since it is where you grow old together and make so many priceless memories. You can download the picture and print it out, HERE. It is sized for an 8X10 frame and you can use regular paper or opt for a thicker size. I had purchased shabby chic rounded picture frames and they’ve been standing empty for a long time. I decided to pick one of my favorite pictures from one of the best days of our lives and display it for all to see. 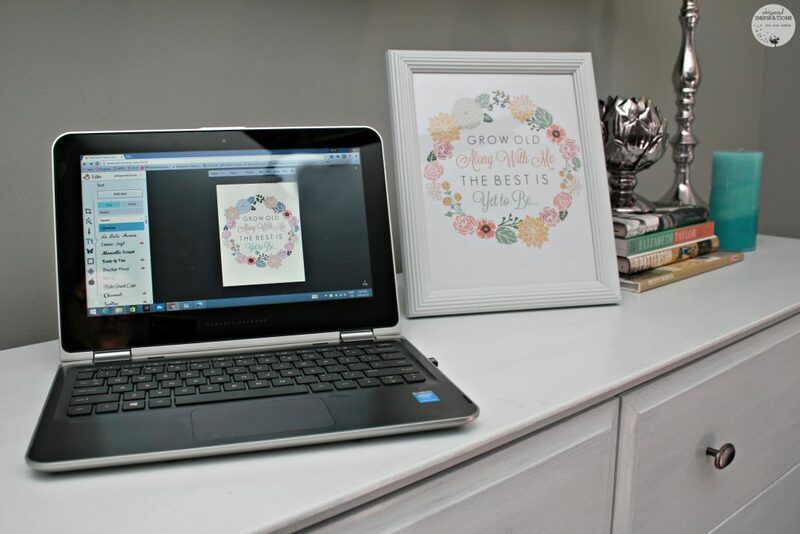 I used HP Premium Photo Paper and wirelessly printed it on my HP ENVY All-in-One printer. I set down these beautiful lyrics in a frame in place of an older picture. It is in view when I go to bed at night and I when I wake up in the morning and I absolutely love it. I placed my picture frames in the den on our bookcase and now they are updated with happy memories. Now they aren’t boring and we can always be reminded of those unforgettable moments. One of the things that I love the most about my HP Pavillion x360 is that it is so easy to print pictures from. Not to mention, even more simple to insert your SD card into, make your library and start printing your pictures to showcase all of those memories. You can even access it from your phone if you need to! One of my favorite quotes is from Christopher Robin from the lovable tale of his best friend Winnie the Pooh. I think it’s the perfect inspirational pep talk for your kids. Something they see constantly and inspire them on the daily. “You’re braver than you believe, stronger than you seem and smarter than you think.” For all those grey days when we need a little light. I printed this out for Gabby’s room, that way it can give her a little bit of positivity everyday and when she isn’t feeling her best. 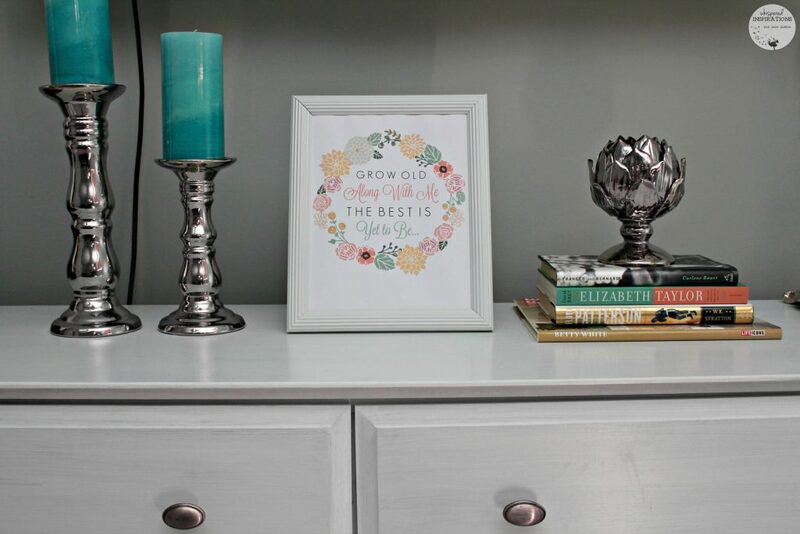 I chose a soft coral color and a beautiful vintage rose to go along with this super uplifting quote. That way, it is pretty and still trendy enough for a tween or teen to like. I sat down with Gabby and asked her what color she liked and what fonts she liked and we came up with this design. You can download the image HERE to print for your own inspirational piece of decor. It is made for an 8X10 picture frame. The HP Pavillion x360 is not only a notebook that you can type on but, it’s touchscreen. So if Gabby wanted to show me something, she just had to point and move whatever she wanted with her finger. Since it has really nifty hinges, you can bend it and transform it into a tablet or you can make it into a tent for easy display. You can purchase one at HPShopping.ca! Now you have two new printables to add to your DIY list! So simple, you just download, print and add them to picture frames. 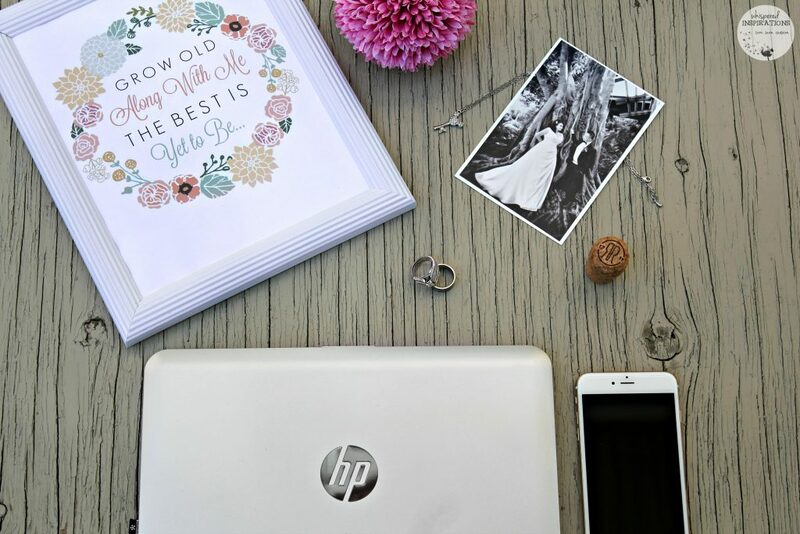 Plus, don’t be afraid to start printing out those priceless photo moments and look into getting an HP Instant Ink membership–you’ll never run out! Make sure to visit HP on Twitter, IG and Facebook for the latest updates! How do you do DIY decor in your house? I love the printables you have displayed. That quote from Winnie the Pooh has always been one of my favorites. We have an HP printer and love it. I love it too. 🙂 A great reminder for all of us. Enjoy the printables! 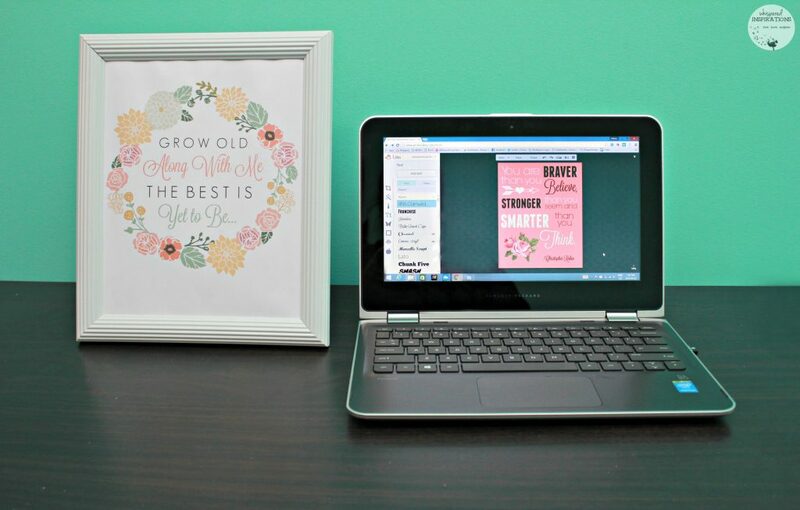 Printables make gift giving and crafting so easy! This is such a nice print! The printable is great! i had this computer except mine was the spectre 360 and it was awful, I wonder if this one is better? Looks like a lovely computer i am in love with my new macbook at the moment though! love the printable will have to print it! I have had no issues and it is able to keep up with me and my work. I am sure you know that is a lot of tabs. I love it and have replaced my laptop for this one. Thanks, enjoy the printables! Sounds like a perfect notebook for creative people! 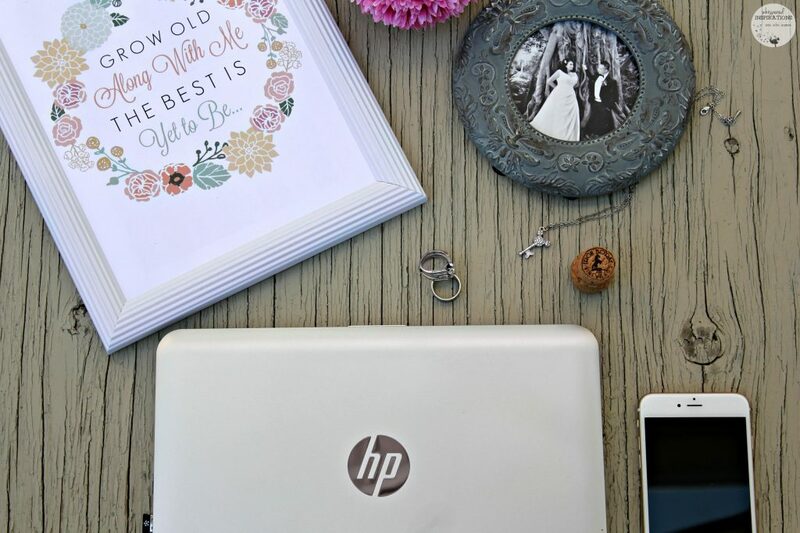 I love HP products. Me too, they make great products! Wow, what a great idea to print your own art. 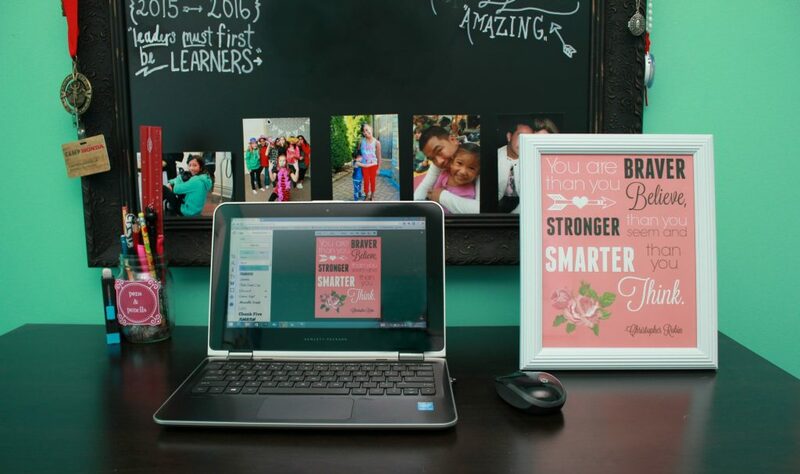 Those frames with cute sayings can get so expensive at the store! They can! Now you can print them for FREE here! This sounds like an awesome printer indeed and a wonderful DIY decorating project. I love the idea of making a print of memories or photos to us as art in a inspirational way. Thanks for sharing your idea. 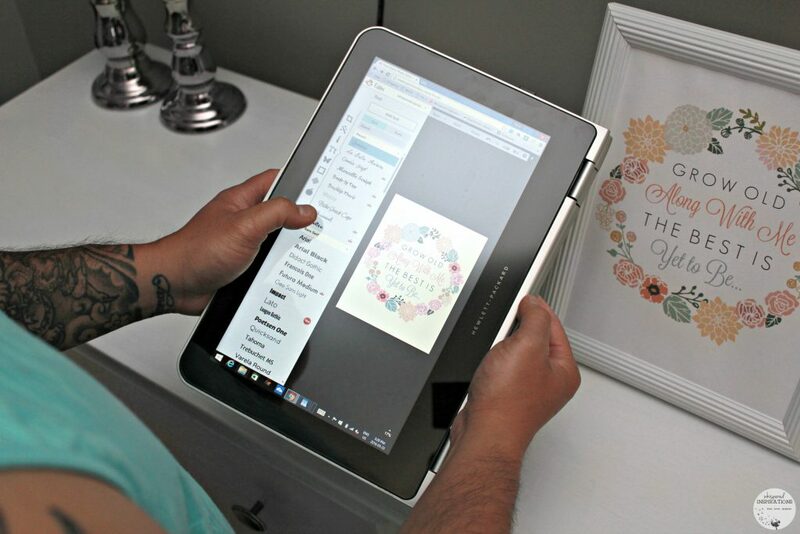 Yes, you can do so much on your computer and with a printer! Your so creative and I love the style and color you picked. Decorating with printables is the best idea. I love the Christopher Robin quote. It looks super cute on the desk! Thanks, I love it too! One of my faves! I love these DIY decors! I love anything DIY ideas, they are very unique and very cost-efficient too! You are such a creative person, i never thought of this, Decorating our home, since we just moved out, will be easier now! Thanks so much Ryan. Something so simple can make a big difference! I should print out a few of my favorite quotes so that I can frame them. I love inspirational words of wisdom to remind me of my goals. They definitely help when they are in sight all the time! I regret not getting HP printers when I had the chance. That sounds like an awesome machine for creative minds and I love easy subscriptions for refilling ink! They really are awesome! There is always time to get one! The subscriptions are so useful too! What an amazing job! So creative, i love DIY activities. Thanks, I appreciate it! Enjoy them. wow what a difference this does to the decor! I need to start doing this. Hubby and I would love quotes and pictures up on our walls but it is just too expensive to do it but this is such a more affordable way! !